When you are the mother of a musician you sit through a lot of bad recitals. You endure hours (and hours) of tedious scale practice. After a while, if you are lucky, it starts to pay off. Your musician improves and so do the others that play with them. Years of squeaky clarinet solos and middle school boys banging on drums in your back room starts to pay off. The scales turn into Chopin and the banging and noise music transform into actual songs. For most kids music is a hobby. An extracurricular to round out a college application. For my kid it became so much more than than that. A few years ago his ambition needed a bigger outlet than the back bedroom in our Roman apartment. 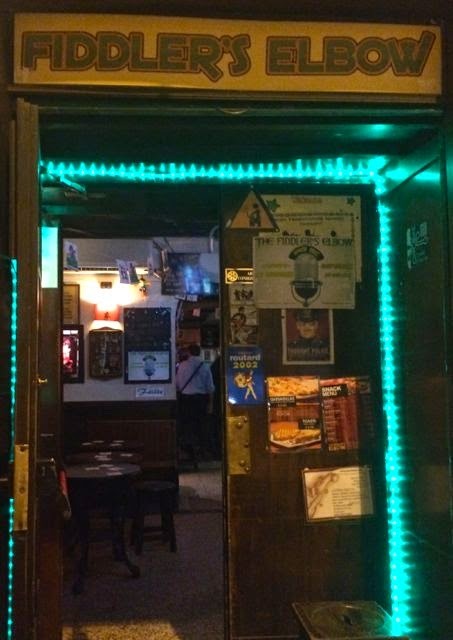 He found it at a small Irish pub just up the road called The Fiddlers Elbow. 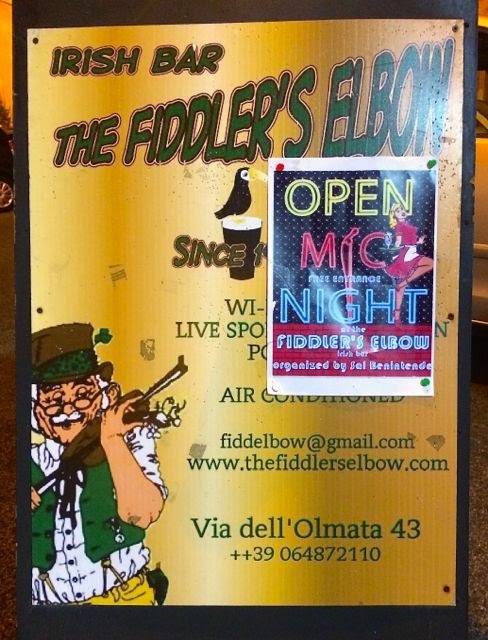 The Fiddlers Elbow is Rome's first Irish owned pub. You can find it just around the corner from the grand basilica of Santa Maria Maggiore and one of my favorite places in Rome, the mosaic filled Santa Prassede. Salvatore (Sal) has created a friendly, multilingual, and inclusive atmosphere where both regulars and travelers are welcomed with enthusiasm and applause. It is all very organized. You can sign up online or in person. Guitars and a piano are provided for you to play. The evening is also usually live streamed. 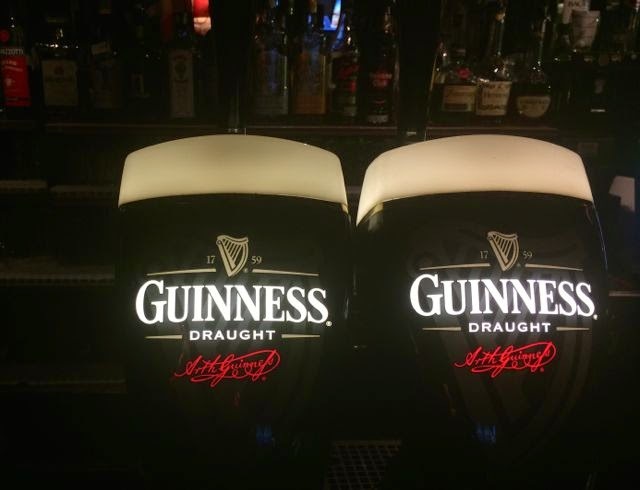 If you find yourself in Rome on a Thursday night in need of a Guiness and some live music, head to Knight of the Open Mic and join in the fun. Looking for more information for the expat in Rome? Download my app Rome for Expats. Noah, You've just given me another reason to go to the pub!!! He will be there tomorrow! On Friday & Saturday (August 8 & 9) Noah has show at the Dakota Caffe on via Seminario near the Pantheon. 9:30pm.